I’ve been couped up in my room all week from studying for finals naturally it was time to get some fresh air. 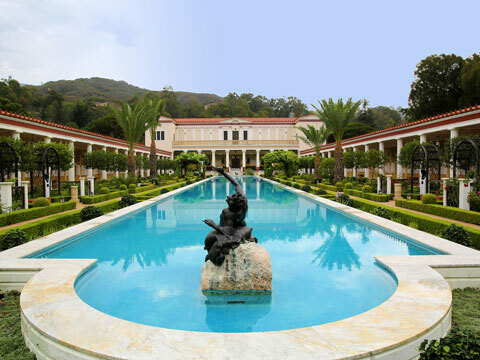 ‘Twas beautiful sunny day in L.A. when me and my friends went over to Malibu, Getty Villa on Black Friday. Surprisingly, traffic was not bad at all for once in Los Angeles! People were still recovering from Thanksgiving shenanigans hehe.. 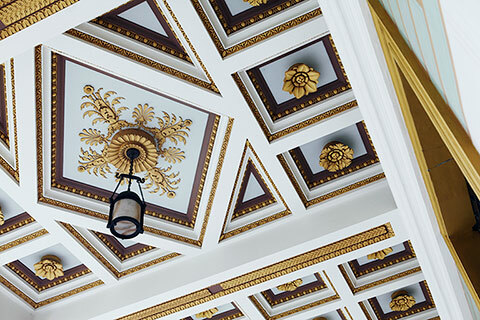 The Getty Villa is home to the J. Paul Getty Museum’s antiquities collection. Here you’ll find art from the ancient Greek and Roman world dating from 6,500 B.C. to A.D. 400. The galleries are arranged by theme and include Gods and Goddesses, Dionysos and the Theater, and stories of the Trojan War, among others. Seen here: Atheletes and Competition Gallery. It was fascinating to see how small some artifacts such as the bowls, plates, cups which, made me notice humans long ago were so tiny. It’s exciting to connect what you read in the books to past history of Greek and Roman culture. I recently took a Mythology class which is filled with Greek gods & goddess and famous story of Troy. It was truly a delight to see the art and architecture that resembles the bronze age.